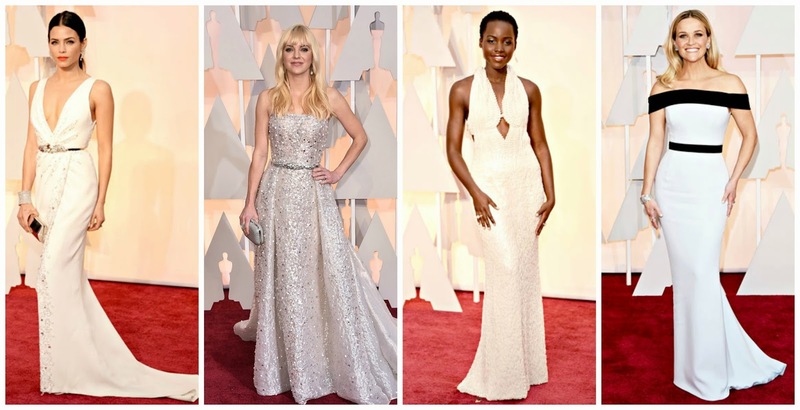 There were so many beautiful gowns at this year's Oscars but overall, nothing blew me away and nothing was a huge surprise. There were a lot of black and white gowns, along with red and multi-colored beaded dresses, and then a few outside the box colors. My top 3 were: Rosamund Pike, Reese Witherspoon and Margot Robbie.